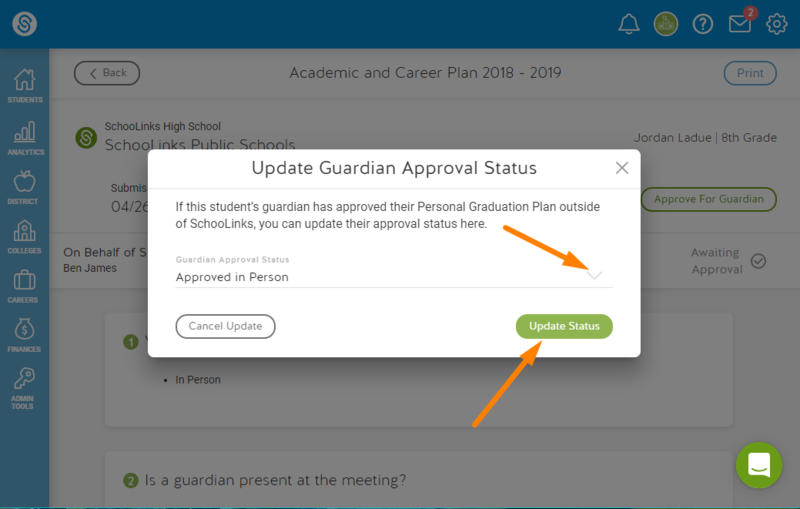 Then select the Approval Status by clicking the arrow next to approval status. Finally, click Update Status to finish approving on behalf of the guardian. 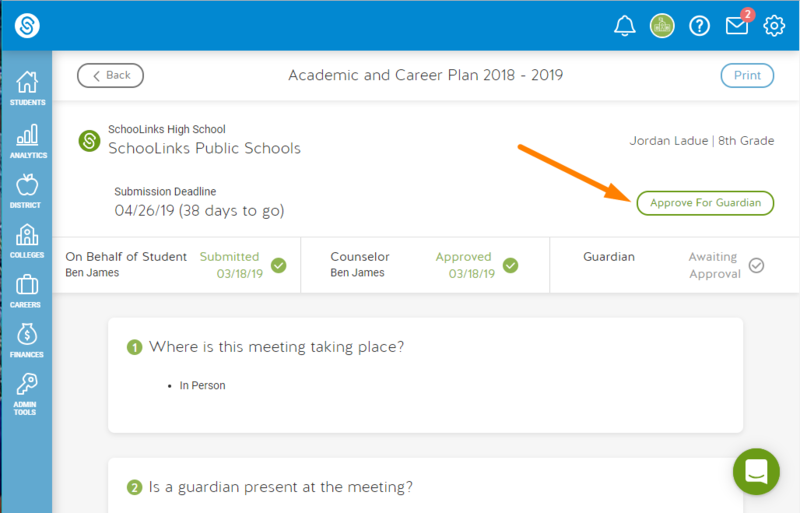 If the student has not submitted their plan, counselors will have to plan and submit on behalf of the student. Counselors also have to approve the plan, before approving on behalf of guardians.